An obvious point perhaps, but ensure that the information you use is relevant to the trimester you have been asked about. A great deal of information in this field relates to the first trimester, which is interesting but not relevant if you’ve been asked about exposure in the later stages of pregnancy. SPCs usually contraindicate or caution against drug use in pregnancy. Manufacturers’ medical information departments may be able to offer more information particularly on very new drugs where published literature is often lacking. 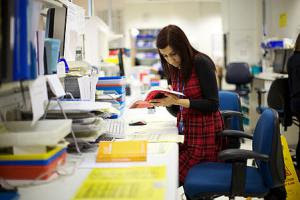 Check the UK Teratology Information Service pregnancy monographs for which you will need your organisation’s user name and password to access the complete documents. You can ring the service for advice too, but make sure you’ve conducted a thorough search of your resources first. There is an online guide to the information that UKTIS will require when you ring them. Their website for patients (called 'bumps') has lots of helpful information leaflets that correspond to the monographs for professionals. Depending upon the nature of the question asked, try Drugs in Pregnancy and Lactation by Briggs et al. which is kept by most MI centres and is available as a book and online. Another well-respected resource is Drugs During Pregnancy and Lactation by Schaefer et al. which is available in paper form and electronically, and many MI centres have access. UKMi has published a number of Medicines Q&As for a range of common problems in pregnancy. These are published on the SPS website. What do the clinical experts say? After an initial search for information, it is often helpful to look for guidelines written by expert clinical bodies. Most guidelines on the management of chronic conditions will include a section on pregnancy. These can often be found via NICE Evidence Search, limiting your search to 'guidance'. If you need to search the literature then try Embase first followed by Medline; choose your terms carefully. For enquiries relating to specific therapeutic areas such as depression in pregnancy, then specialist resources in that field such as Bazire’s Psychotropic Drug Directory or The Maudsley Hospital Prescribing Guidelines may be helpful.